With every family session I shoot, I strive for natural family portraits. 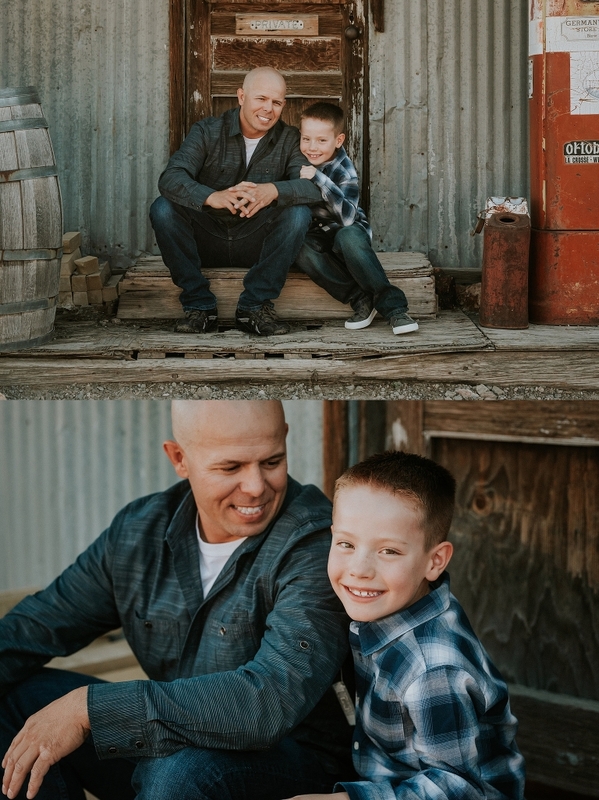 As a Las Vegas Family Photographer, I want my clients to feel an emotion when they look at their images. It is more than just a pretty picture. It’s about freezing a moment in time. Remembering how you loved and laughed together. A time when you children could still fit in your lap or be lifted into the air or a time when they are noticeably taller than you can wrap their arms around you instead of them. It’s important to me to really open up the lines of communication when planning out any portrait session. I want to get to know your family as well as educate you on what to expect from me as your photographer. When the ‘K” Family contacted me about doing a Family Session, I initiated that conversation through my usual questionnaire. Mom expressed her concerns over her daughter being shy at first, but that both of the kids could be silly once they open up. 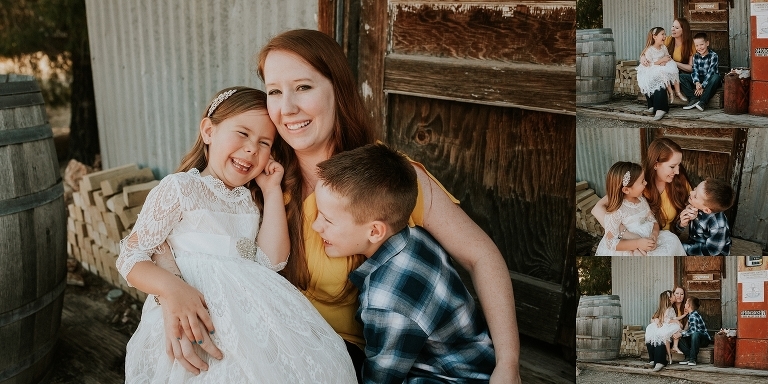 I assured her that I was the queen of natural family and portrait photography and could absolutely get awesome responses and expressions from her children. It took me only 16 images to get these smiles going! 16 out of the 650+ images we shot! To say it was an amazing family session was an understatement. We ended up shoot in an amazing location just outside of Las Vegas. Eldorado Canyon is a pretty well known old ghost town here in the desert. It has a lot of old buses, barns and cars to work in and around. 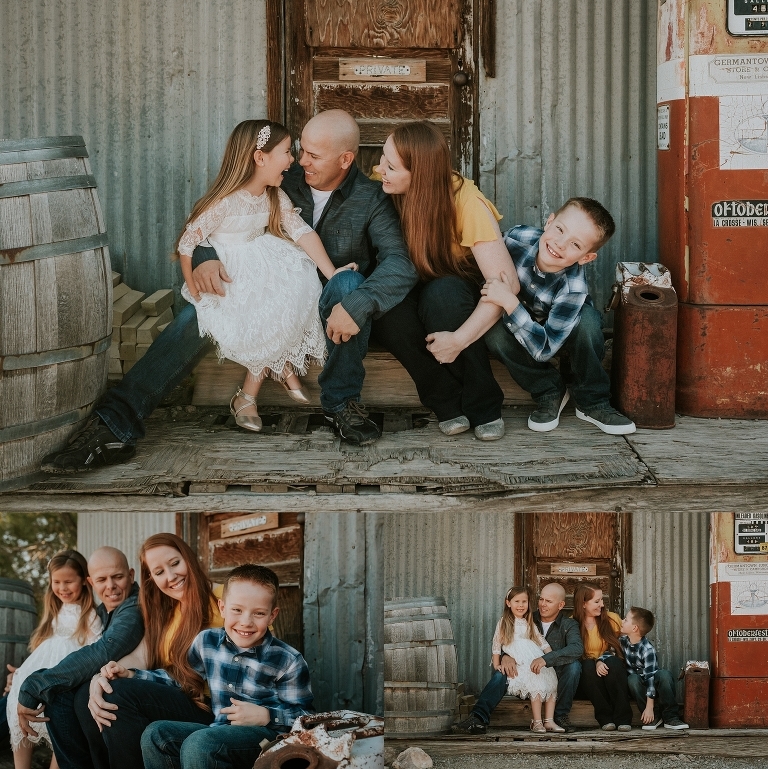 A really eclectic, fun spot for family portraits. It was hard to narrow down enough images to share. I hope you enjoy! © 2016 Jamie Rubeis Photography|ProPhoto Website|Design by Northfolk & Co.